Leica Camera has recently opened its second flagship store in Australia, this time on the upmarket first floor of St. Collins Lane, in central Melbourne. The store features not only the impressive range of the high end, German engineered cameras and accessories you'd expect, but also, a gallery, a library, a studio (with hair and makeup services available), even a small collection of historic Leica cameras. Perhaps most surprising, though, is that it also has a cafe on site. That's right, you can browse at the cameras, and, while you're making up your mind which to buy, grab a coffee and a (photography related) book from the library while you mull it over. Leica has partnered with Melbourne roaster Niccolo to ensure their brew will meet with the approval of even the most discerning of coffee sippers. 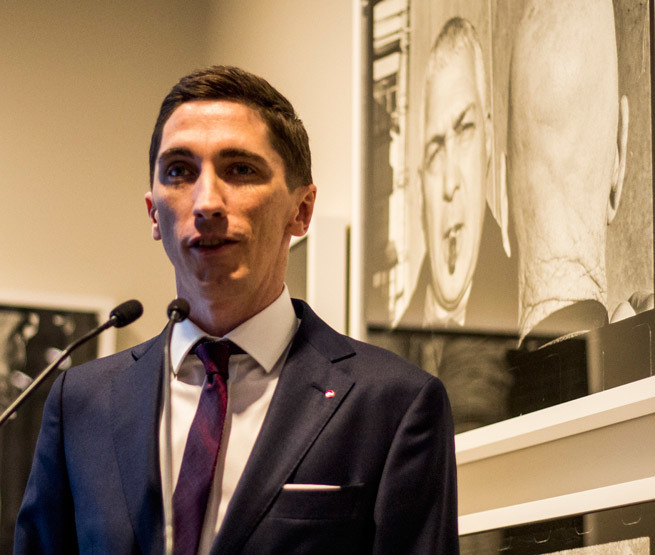 It is, as Ryan Williams, Managing Director of Leica Camera Australia, put it at the store opening, intended to be a "photographer's paradise". But back to the Leica products. The Leica company celebrated the 100th anniversary of the Leica camera in 2014, so it's clearly doing something right. Promoting itself as "the premium manufacturer of cameras, lenses and photo equipment", Leica is proud of its long tradition of focusing on excellent quality and innovation. The Melbourne store offers the complete suite of Leica products, including newly released models such as Leica Q-P, Leica M 10-D, Leica CL, Leica SOFORT Black, Leica C-LUX and Leica SL. Interestingly, Leica has recently announced that it is also moving into producing watches, consistent with its tenet of "visual enjoyment and lasting value". The store is impressively decked out to promote the classic Leica look and feel. Display cabinets use the 'Leica red' to good effect. However, it's not all 'hands-off' here, there is an area where you can test out the equipment too. It's intended to be a "fully immersive" customer experience. The gallery space takes up one side wall-and-a-bit of the store. The intention is to have around four exhibitions per year. 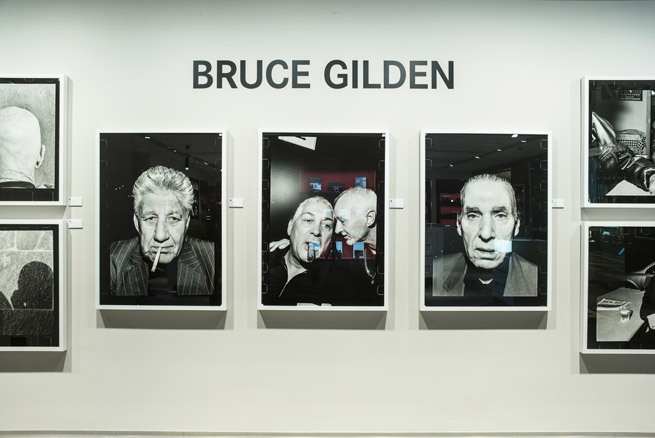 In a bit of a coup, Leica is currently exhibiting works by New York-based, legendary Magnum photographer, Bruce Gilden. The 15 works on display were taken by Gilden in Melbourne in 2011, and this is the first time his works have been exhibited in Australia. Gilden has a liking for rather stark, in-your-face portrait photography of so-called 'bad guys'. The exhibition continues until 31st January 2019. Leica is also involved in the educational space for photographers, offering photography tours, plus on-site workshops. If you're interested in more information, make sure you subscribe to the Leica newsletter, and go along to the Open Day at the Melbourne store on Sunday 9th December, from 9am to 5pm. You'll find more information here. 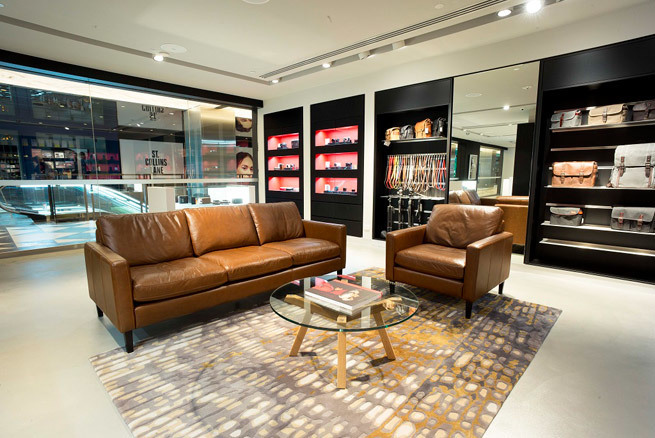 The Leica Store and Gallery Melbourne is located at level 1, 260 Collins Street, Melbourne. It is open between 10am-6pm Monday to Wednesday and Saturday, 10am-7pm on Thursday and Friday and 10am-5pm on Sundays.